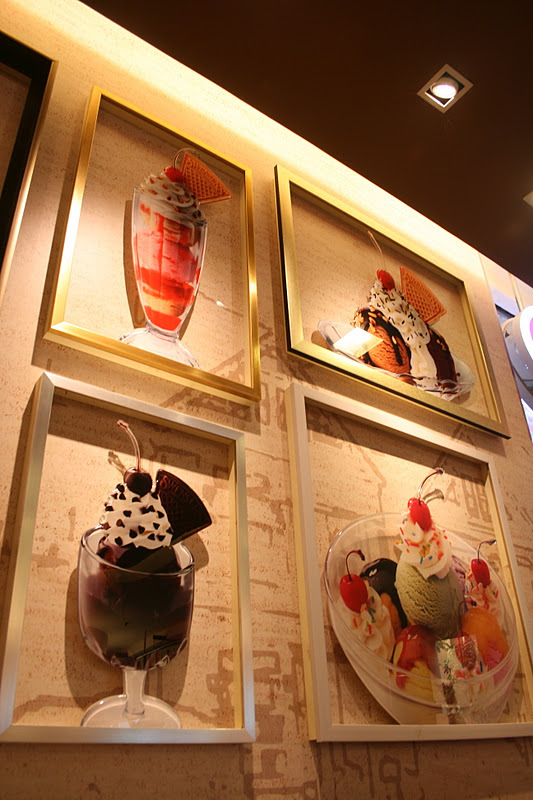 Swensen's - The Best Ice Cream Parlor on Earth - is Finally in Manila! Believe it or not, Swensen's did not ask me to write this blog post for them. In fact, I don't know anybody affiliated with Swensen's whatsoever. The truth of the matter is that I lived in Bangkok for seven years. And, well, Swensen's played a huge part in my life during those years. It was at Swensen's where I pored over Incubus' "Light Grenades" CD jacket and listened to the CD over and over on my discman (yes, we had discmans! ), for example. 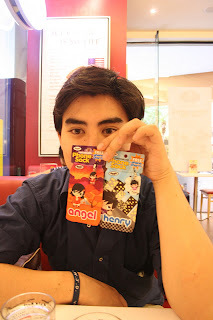 It was also at Swensen's where I had one of my most memorable first dates with a guy. 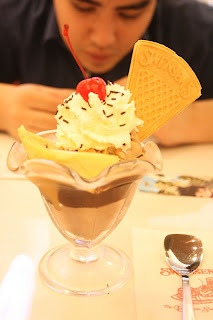 And it was at Swensen's where I generally grew a real love for ice cream. 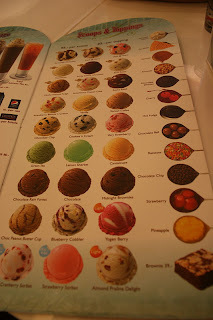 Now, I'm not going to lie and say Swensen's tastes better than, say, Haagen Dazs or Ben & Jerry's. But, c'mon. If we're talking about both taste and price combined, then Swensen's will win this battle hands down! Swensen's is probably the most affordable ice cream parlor I have ever been to and their ice cream is actually downright delicious. Swensen's, my love, we finally meet again! The interior is very clean and not too crowded and they have a lot of waiters/waitresses on the ready, so the service is very fast, as well. What I love the most about Swensen's is that you can pick out your favorite sundaes and then choose whatever flavors that you want to go with them. 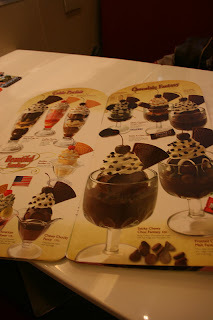 So, you can get one of the Cable Parfait or Chocolate Fantasy sundaes as pictured above, for example, and then just personalize it to your heart's content according to your ice cream flavor and toppings of choice. A lot of the sundaes already come with chocolate toppings, though, including Malteser's, Twix, Kit Kat, and Oreos. 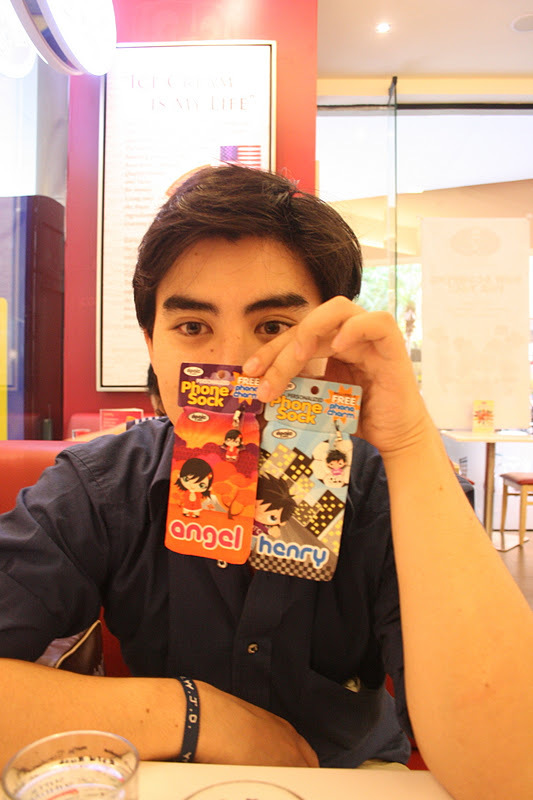 While waiting for our ice cream, Henry decided to show off our finds from Fully Booked: cell phone socks with our names on it (Php150 each). Haha. Dorks! My order for the day! I was in a banana and caramel mood, so I opted for one of the simpler sundaes with the flavors that I recommended above. This was only Php115! Overall, I am very happy to announce that Swensen's here tastes exactly like the Swensen's in Bangkok. It is as cheap as the Swensen's in Bangkok, as well, and the wafer on the ice cream actually tastes better than the Bangkok wafers. SATISFIED. 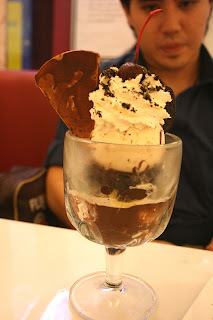 Of course, Henry opted to get this monstrous thing with Cookies and Cream and Peanut Butter scoops for Php220. Oh, the calories! Yey!! super love ko Swensen. Good thing talaga!